I have been thinking a lot about distances since recently visiting the Performing Arts Network of New Zealand (Pannz) conference and the arts market in Auckland. Pannz is the long-standing arts market for New Zealand work. This year it formed a valuable new alliance with the Adelaide Fringe and its long-running scheme Honeypot, which hosts producers and presenters from Australia and beyond and arranges performances for them, alongside meet and greets with artists, companies and producers. The success of an arts market is often measured in the number of shows that are sold. Those statistics can certainly look impressive on any end-of-year report. However, equally important is the development of the longer-term relationships forged between local and international producers and producing theatres. The value of these organisations and individuals attending events like Pannz, Apam (the Australian Presenters Arts Market) or Honeypot is their interest in building relationships with local companies, artists, writers or producers. These can can lead to commissioning, collaboration and co-production as opposed to the one-off presentation a venue or festival attending may offer. Creative New Zealand, the country’s dynamic arts funders and Pannz recognise, that, if done right, local producers can form lasting relationships and may be able to build a viable career. In producing, the company or producer needs to be the nucleus of a show. This means the industry focus should be about them and how they are always moving forward. A successful production is a crucial calling-card, but shouldn’t be the sole focus as the producers are left building from scratch again for the next production. Establishing a strong producer or company identity and position is of paramount importance. Any producer building a career needs to expand their horizons and look at the widest of possibilities. Both Creative New Zealand and Pannz are also addressing this with masterclasses and development opportunities that can advance their own producers’ and companies’ knowledge. A residual problem that needs addressing is the lack of confidence about distance. Many of the local producers and companies I met with at Pannz regularly referred to distance as their greatest disadvantage. Distance should never risk becoming a reason for a community’s arts industry to turn inwards. Even if such an issue started as solidarity amongst colleagues, it can fester into negativity, and at worse, could prevent good work travelling beyond its borders. The arts industry and its funding bodies have an important role to play in better supporting those working in more isolated regions. It may involve advising on where to stage productions and how to build cross-cultural relationships. To this end, the Edinburgh Fringe can serve as a valuable and obvious platform for bringing attention to a county’s arts industry. Though many works may be served better by linking up with a regional producing theatre or touring to places they connect with. A run in Edinburgh may mean it’s overlooked for the attention it richly deserves, against the slew of other productions vying for attention. In contrast, by placing it as a stand-alone presentation, its subject matter could have a much more powerful resonance and connection to audiences, especially within its coastal regions where similar issues are being faced, both in the UK and elsewhere. The production could make a valuable cultural connection that brings the writer and company deserved attention across the other side of the world and build an ongoing international production relationship with a respective theatre or producer. The result is that both parties are gaining a shared knowledge and creative growth. 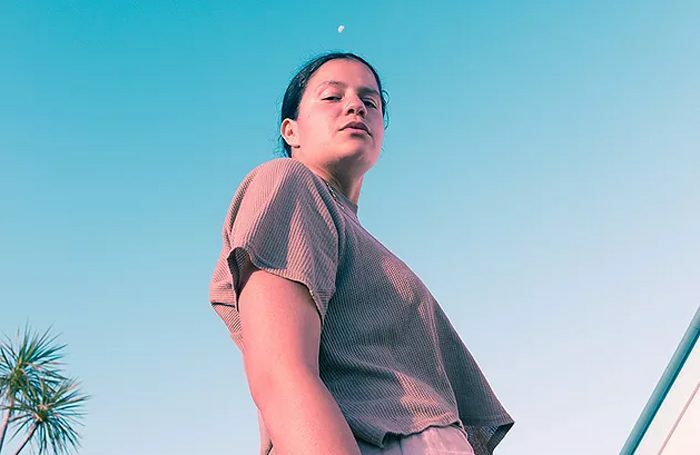 It is an exciting time for new writing in New Zealand where writers such as Tusiata Avia and companies such as the Conch and Silo are among the many names to watch. But crucial to their success outside New Zealand is building connections to ensure the work goes to the right places. There needs to be careful consideration about a company’s identity and development of creative and producing relationships. Collectively, this all goes into serving a country’s creative development and profile. It helps establish its position at both a national and international level. Distance should therefore only add to the joy of discovery, and could even prove to be a smaller country’s greatest advantage.